Extreme weather events can cripple crucial infrastructure that enables transit, electricity, water and other services in urban areas. This leaves cities and their inhabitants cut off and in danger. With weather extremes becoming more common—from devastating hurricanes and flooding to record drought and heat waves—it will be increasingly important to develop urban infrastructure that is more resilient, sustainable and equitable. 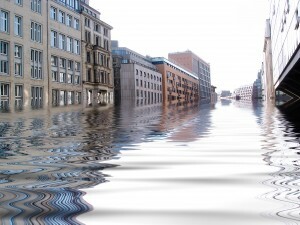 That is the idea behind a new Urban Resilience to Extreme Weather-Related Events Sustainability Research Network (UREx SRN), recently funded by the National Science Foundation (NSF). College of Engineering and Computer Science Associate Professor David Chandler, who teaches in the civil and environmental engineering department, has joined a team of 50 researchers from 15 institutions in nine cities spanning North and South America. The NSF awarded the network $12 million over five years through its Sustainability Research Networks program, which focuses on urban sustainability. The team will be working with Esri, an extremely detailed geographic information system tool, to develop 3D, interactive models for all of the cities in the project. When streets flood with disease carriers and waste, it isn’t just unhealthy—it’s dangerous. Aging infrastructure and flooding issues tend to be more of an issue in low-income neighborhoods, meaning that this project needs to assess more than just the physical infrastructure of these cities. The team will evaluate the social, ecological and technical systems data related to infrastructure. This includes recognizing the values of all stakeholders, from city decision makers to the people who will use and be affected by infrastructure, understanding the natural environment in which infrastructure operates and evaluating available infrastructure technology. The result will be a suite of tools supporting the assessment and implementation of urban infrastructure that is resilient, “safe-to-fail” and tailored to a particular city. In addition to Syracuse University’s team, the UREx SRN includes teams based in Phoenix; Baltimore; Miami; New York; Portland; Hermosillo, Mexico; San Juan, Puerto Rico; and Valdivia, Chile.